It’s Release Day for The Second Time Around! Let’s start with the blurb. Can a beautiful Worthington widow find love again? Depends on who’s asking . 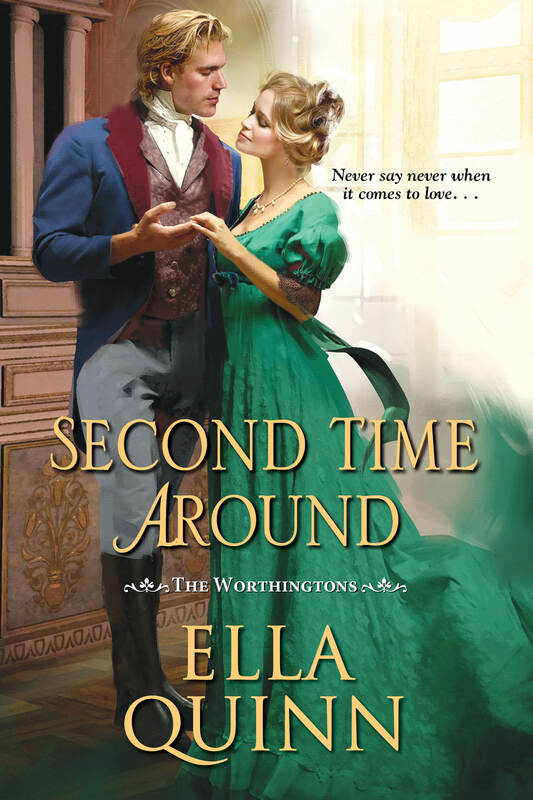 . .
Before he died, Patience was the Earl of Worthington’s second wife. So why shouldn’t Patience be allowed a second chance at marriage, too? Of course, finding a new husband was not something the mother of four had ever planned on. But a surprise encounter with her first love has suddenly made the impossible seem possible all over again . . . It seems like a lifetime ago that Richard, Viscount Wolverton, was halfway around the world, looking for adventure . . . while Patience, at her coming-out, was left with no choice but to take old Worthington’s hand. Richard never forgot the woman whose heart he yearned for—and now that he’s back, he’s not going to let her slip away again . . . The day after Richard had been told Pae was ill, he was in the reading room at Brook’s having coffee and waiting until he could try to see her again. All he’d been able to think about was her boast that she never took a chill, and now she was sick. If she was not better today, he would send for some fruit from his succession houses. They would be much better quality than what one could procure in London. Another gentleman entered the room, drawing a chair up next to his. Another wonderful blog by Angelyn! Continuing the Regency maid-servant’s “sketch of character,” we find she must suffer irritations all day, and without complaint. 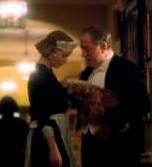 In 2001’s Gosford Park, Lady Sylvia McCordle is the mistress of a great country house. The head house maid is Elsie. One evening, while entertaining a host of guests, her ladyship finds the temerity to interrupt dinnertime in the servants’ hall to inquire about a vegetarian meal for a tiresome American guest. Cook pointedly turns her back on her. The housekeeper then assists, receiving a wealth of thanks and relief. Elsie is an Edwardian-era maid-servant. But for purposes of illustration, she is timeless. Don’t miss this fantastic historical romance giveaway!! 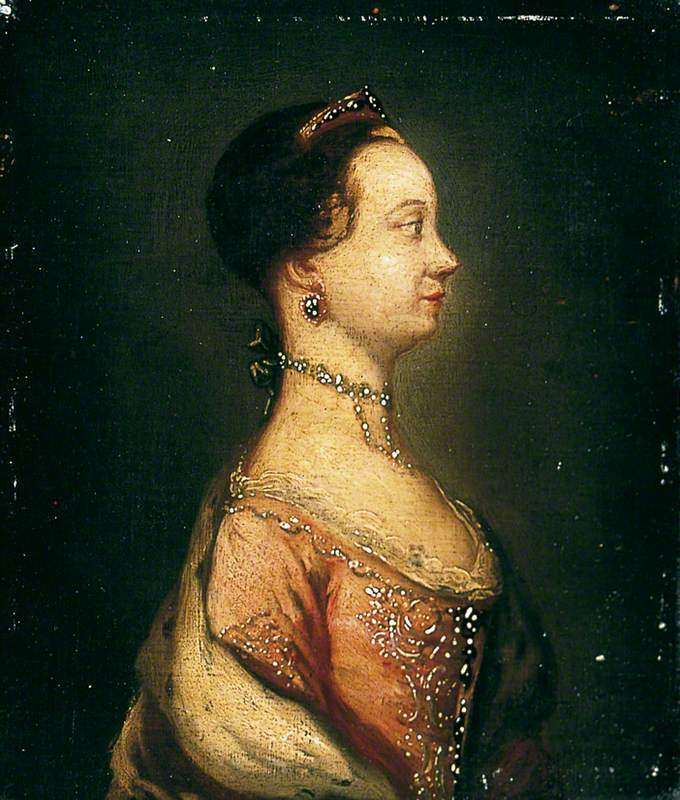 This is a fantastic blog on Queen Charlotte! With so much interest in the Royal Collection’s Georgian Papers Project, we thought we would examine some of the portraits of Queen Charlotte of Mecklenburg-Strelitz who was also patron of the arts. We took a brief look some time ago at some of the portraits of George III’s children, so other portraits of the Queen with her children can be found by following this link. As you would imagine, both the King and Queen were painted by many of the leading artists of the day so we’ll take a look at just a few of them. We begin with a miniature of Queen Charlotte by the artist Jeremiah Meyer, who was appointed miniature painter to her majesty.